The deep mystical folds of mighty Himalayas have some wondrous destinations wrapped and nestled at each of its layer. The mesmerizing aura of mountain beauty, the splendour of the gushing streams, the purity of the white powdery, silky snow takes your breath away and makes you feel liberated and rejuvenated. The grandeurs of nature, the immense and sky-touching spikes of mighty mountains have sleepy, peaceful hamlets and towns tucked neatly in some corner or have a lonely quaint temple spiking from a remote peak, or a sparkling mountain spring charming its way down the slopes of the mountains. The majestic Himalayas have been known to provide ideal holidays in the midst of pristine nature and offer enough moments of calm and solitude to relax and unwind. The exquisite combination of blissful nature and the aura of ancient mythology has been attracting tourist and travellers form near and far since ages. The mystical land of mountains rules every Indian heart and also attracts a lot of foreign visitors. 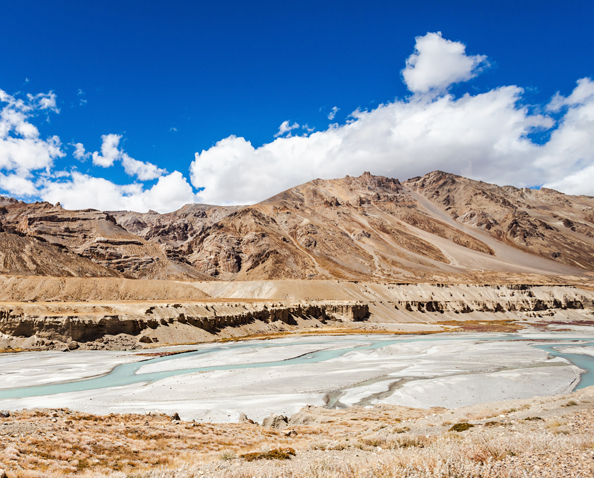 Situated close to the densely packed Northern plains, Himalayas are easily accessible to the people living here. 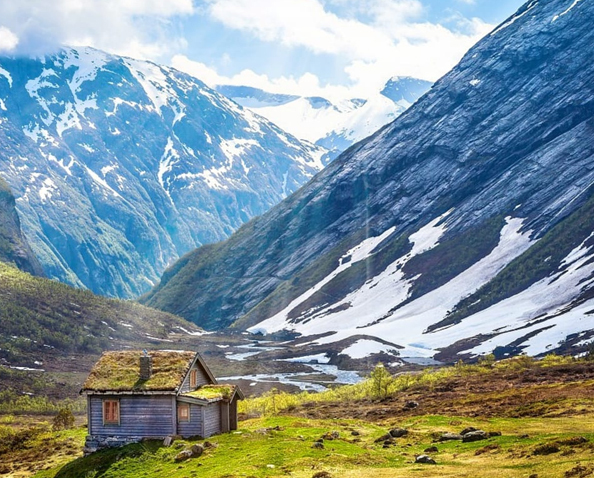 Also to avoid the unfriendly heat and swelter of the long and dry summer season, hundreds of travellers travel to these mountain destinations during the summer months. The inaccessible snow-wrapped famous Rohtang Pass that opens only for a few days in summer, the icy frozen world of Solang Valley and the thrilling sports and adventure games such as paragliding, zorbing, hiking, trekking, horse riding, mountain biking, tube rides, yak rides, river crossing, rappelling, zip lining all together make for a perfect getaway. Some of the destinations are typically beautiful with old-world charm and colonial edifices, eye-catching monuments and remnants of British colonialism. The places of pilgrimage, the age-old shrines that have attracted millions of devotes from the world across through ages dedicated mainly to the Hindu Gods and Goddesses such as Shiva, Hanuman and other popular deities. With such a bevvy of beautiful destinations to charm all hearts, it is indeed difficult to choose the ideal destination. Also, these tourist places get quite crowded in the peak season. So you need to do some prior planning in order to grab the best hotel deals and packages. We help you plan your vacation in a relaxed mode and make the vacation hassle-free for you. We give you plenty of options to suit all budgets and duration for you. Affordable packages are tailor-made and customised to ensure comfortable holiday along with a fun-filled relaxing stay in the lap of nature’s paradise. 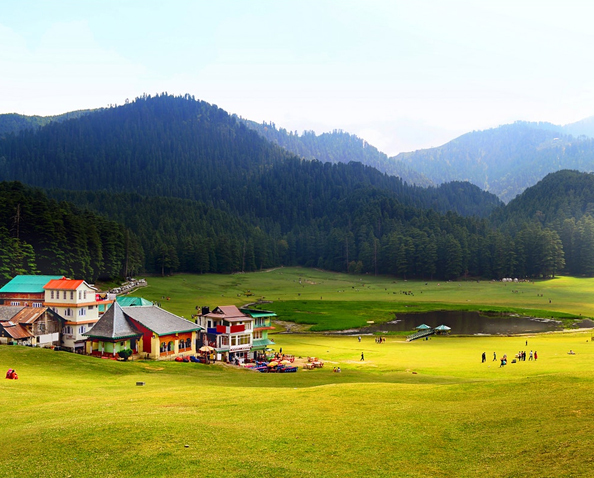 Himachal Pradesh is a land of infinite natural beauty. The serenity and beauty of Himachal is solace to the human heart. Life in the modern world is stressful and fast-paced. People definitely want to take a break from the routine-bound life and enjoy a few days in infinite solitude and away from the mad rush. Also, the weather of Himachal is so pleasant, especially in the summer months, that people get away to this land of beauty and lovely cool weather to enjoy a few days of perfect bliss. we are backed by values, integrity and dedication to our esteemed clients. 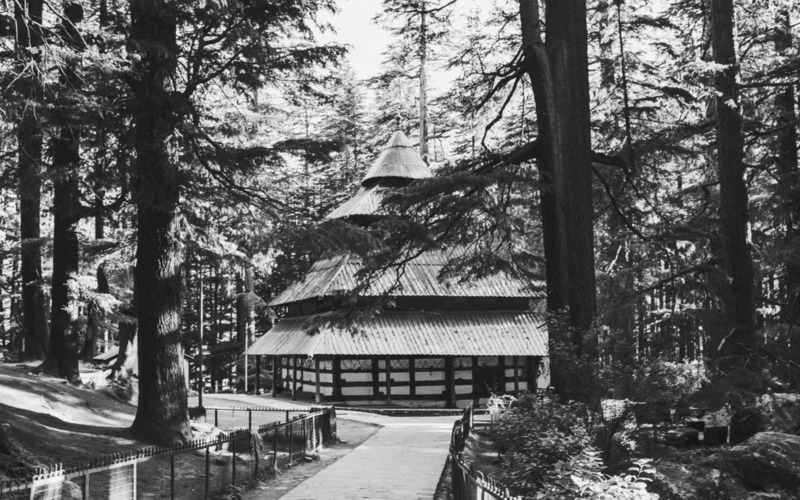 On account of its captivating charm and the presence of many famous temples with thrilling mythological stories attached to them, Himachal is referred to as Devbhoomi or the Land of Gods. Tourists from outside the country also love the unique and exquisite beauty of the hills. Some of the wildest and the most wondrous destinations of Himachal are Kullu and Manali with its fresh air and green mountains along with a modest share of snow-covered ranges, Shimla with its subdued mix of Indian favour packaged in British sophistication, Dharamshala with its Indo Tibetan and interesting community life, Dalhousie with its share of greenery and mountain magic and many others. Enjoy a boat ride across the exquisite beautiful Dal lake, peep at the Himachali wilderness from the intimidating Kangra Fort, worship in the Bhagsunath Temple with a view of the cascading Bhagsu Falls, visit the monasteries, Dalai Lama Complex, Anglican Churches, sunrise and sunset points, stroll, trek, paraglide, ski, explore nature, walk among the dense mountain forests, visit the tea gardens and the tea factories, enjoy vacation in Himachal Pradesh like you have never ever enjoyed before. Himachal Tourism has served its line of esteemed customers for years, earning kudos and appreciation for our flawless services. We are committed to offering our customers the best value for money apart from the best-in-class facilities and travel arrangements. We ourselves are passionate about travel and touring the world’s most fascinating locations and open the doors to every beautiful place on earth to the eyes of the ones who appreciate nature’s bountiful beauty. We specialize in Family Tour Packages, Honeymoon Packages, Budget Tour Packages, Luxury Tour Packages, Affordable Tour Packages and more. 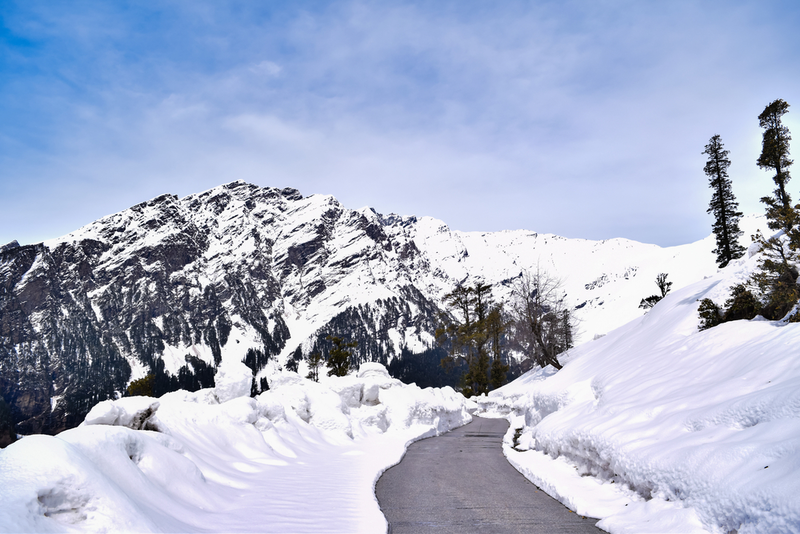 We have been planning Himachal Tour Packages for all kinds of clients, be it domestic or international. 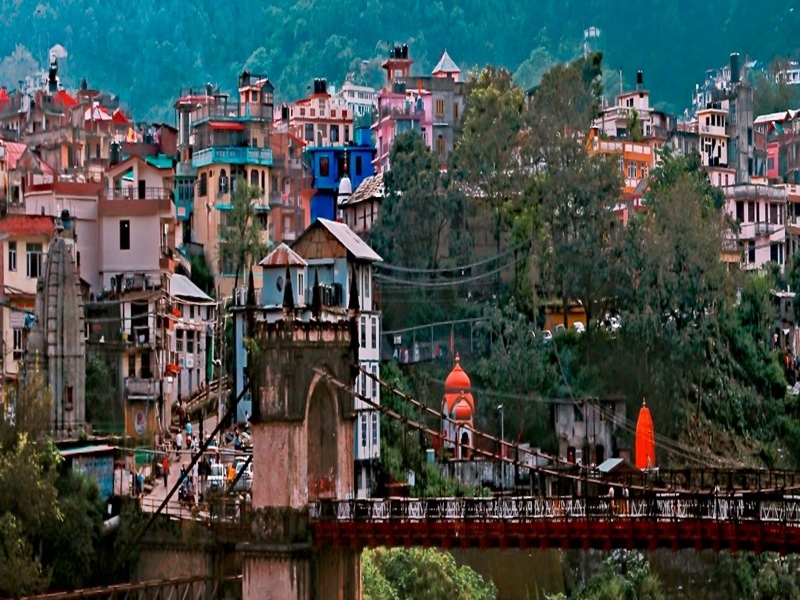 We showcase the best of Himachal and uphold the rich culture and tradition of the place. We constantly upgrade our facilities and present innovative solutions to the travel industry. 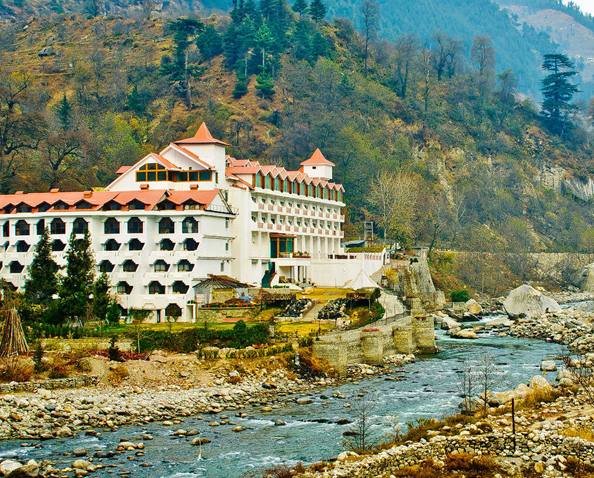 Himachal Tourism pays individual attention to the unique requirements of the people and tailor makes the itinerary to suit the demands and preferences of the clients. We help you discover new love, lead across the boundaries, tread along paths that had remained untrodden, get lost in the beauty and charisma of nature and begin a new journey over and over again. We help you discover your inner passion for travel and avail affordable adventures for yourselves. 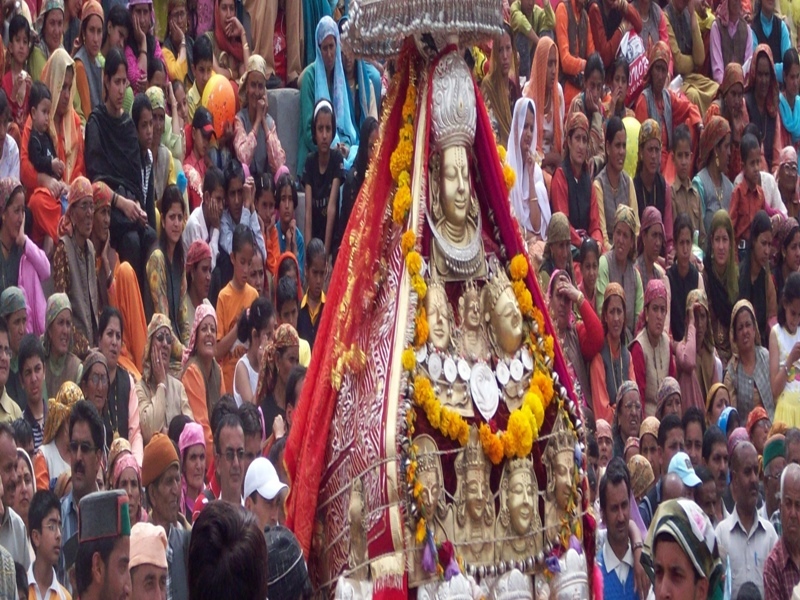 Book a flexible and convenient Himachal tour with Himachal Tourism. Have a vacation as light and fresh as the cool mountain air of Himalayas and crisp and well planned down to the smallest details. You don’t have to worry about negotiating with the hotels and planning and booking your airline tickets. We offer you the service of our expert guides and activity providers so that you sit back and concentrate only on enjoying your vacation. 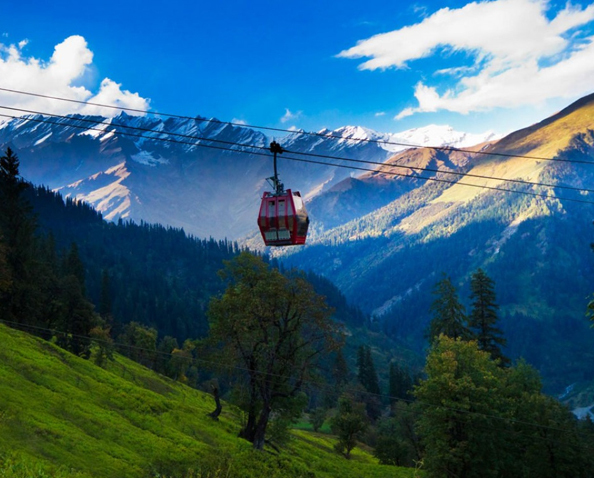 When is the best time to visit Himachal? 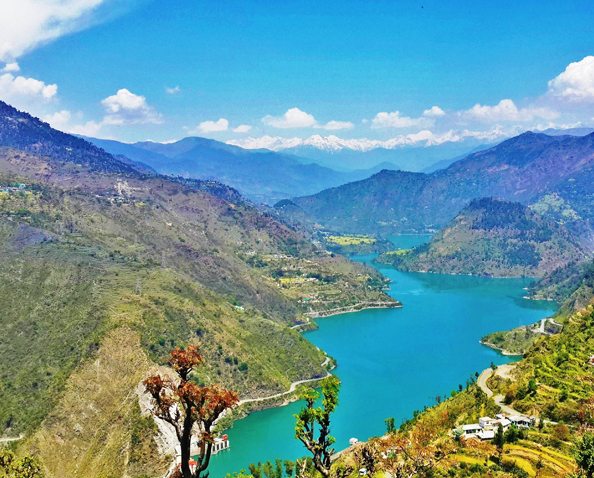 Himachal Pradesh with its fair share of Himalayan beauty is definitely a welcome retreat to escape from the scorching summer sun of North India. It is a very popular destination in the spring and summer months of March to June. It is also explored in the winters between October and February when it receives its fair share of snowfall. 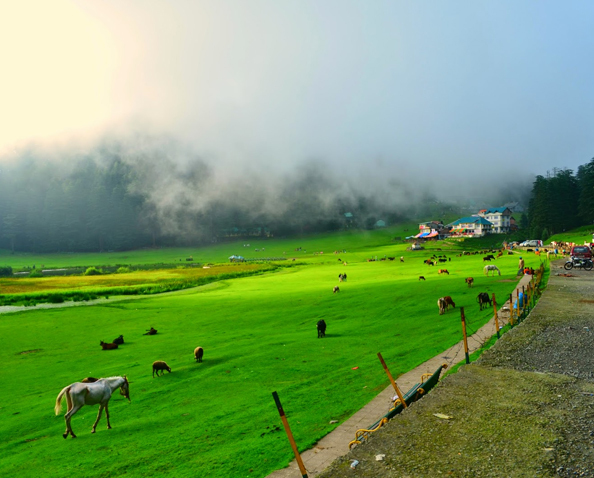 Himachal is an elusive destination for both domestic and international tourists who look for exquisite natural beauty and cool crisp weather to make their vacations memorable. Monsoons are to be avoided as the hills become wet and slippery. Where exactly is Himachal located? 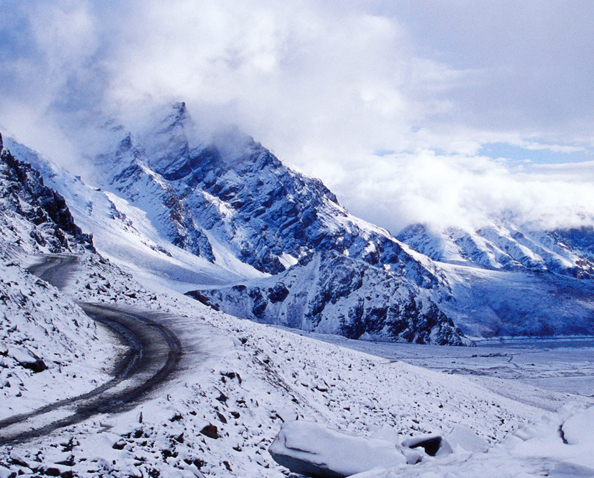 Himachal Pradesh is the most heavily snow-laden province of India. It is the proud exhibitor of the timeless and ageless beauty of the Himalayas. It flanks and guards the northern part of India like an ever-vigilant guardian. As a state, it is located in the northern part of India with Jammu and Kashmir bordering it in the north, Punjab on the west, Haryana located in the southwest, Tibet lies in the east and Uttar Pradesh forms its southernmost companion. Things to do in Himachal? Does Himachal have any Airport? Bhuntar Airport at Manali: The Indira Gandhi International (IGI) Airport is the major and the most important airport that is connected to Bhuntar Airport. Bhuntar Airport is located on the banks of River Beas and is situated at a distance of 10 km from Kullu and approximately 50 km from Manali. Gaggal Airport at Kangra: Gaggal Airport is also known as Kangra Airport. 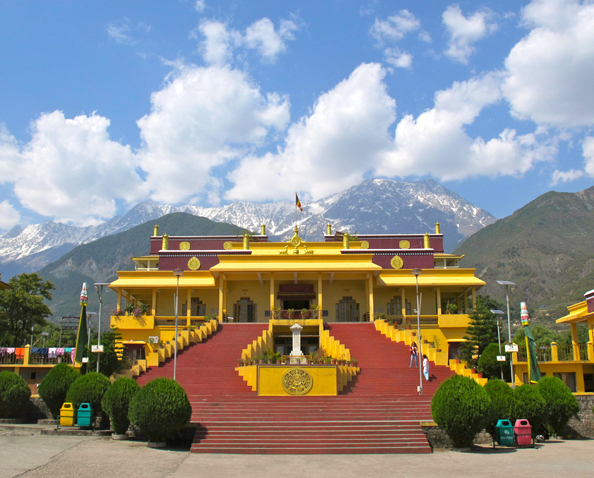 It is located in Gaggal which is 8 km from Kangra in Himachal Pradesh. The airport is very well connected to the major cities of India. There are regular flights from the Gaggal Airport connecting the capital city of Delhi. Jubbarhatti Airport, Shimla: The Jubbarhatti Airport is located 22 km from Shimla. The closest International airport to Jubbarhatti Airport is Chandigarh Airport located around 112 km away. Can I find ATM while enjoying the Himachal trip? There are a total of 127 ATMs in Himachal Pradesh. There are plenty of ATMs of State Bank of India, State Bank of Patiala, HDFC Bank, Axis Bank among others in the state of Himachal Pradesh and one should not face major problem. The ATMs are majorly located in Chamba, Hamirpur, Kullu, Shimla, Sirmaur, Solan and also in other various locations. How to reach in Himachal? The state of Himachal Pradesh has very good road connectivity with the other major states in the whole of India. By Road: Himachal Pradesh has good road connectivity with the adjacent states and majorly with almost all important cities of India. It is located at a distance of 343 kilometres from the Indian capital of New Delhi and about 117 kilometres from Chandigarh. HPTC operates luxury, budget, Volvo bus service from Anand Vihar and Maharana Pratap Interstate bus terminal in New Delhi. By Rail: Himachal Pradesh being a hilly state does not have any provision of railways network. The closest railhead to the state is located in Kalka which is around 90 kilometres away. There is also the narrow gauge train line which the people fondly call toy train connecting Kalka to Shimla. By Air: For tourists and travellers who travel to Himachal from outside the country, the closest major international airport is the Indira Gandhi International Airport at Delhi. There is a smaller airport at Kullu,. Regular flights connect Delhi to Kullu. From the airports, one can take hired taxis and also buses or other private vehicles. How is the connectivity of Himachal with other corners of India? 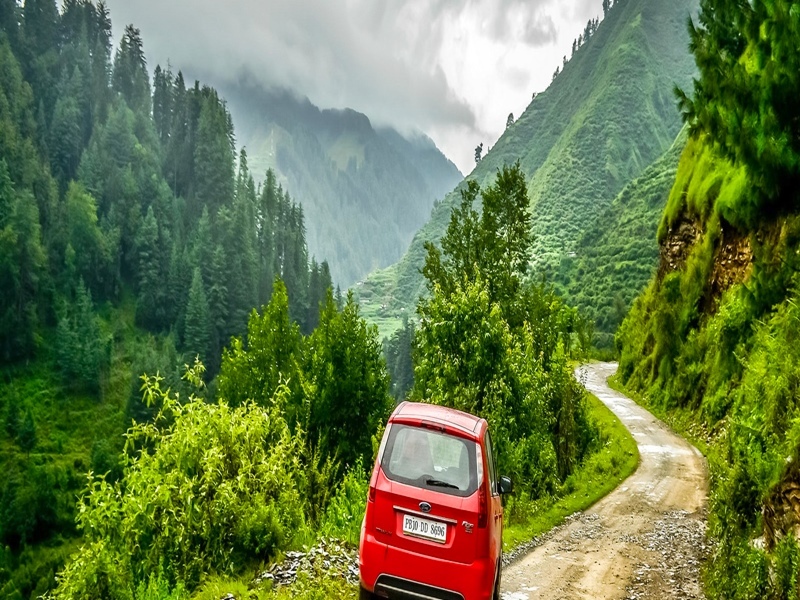 Himachal Pradesh has a highly developed road transportation system operated by State government as well as private tour operators. 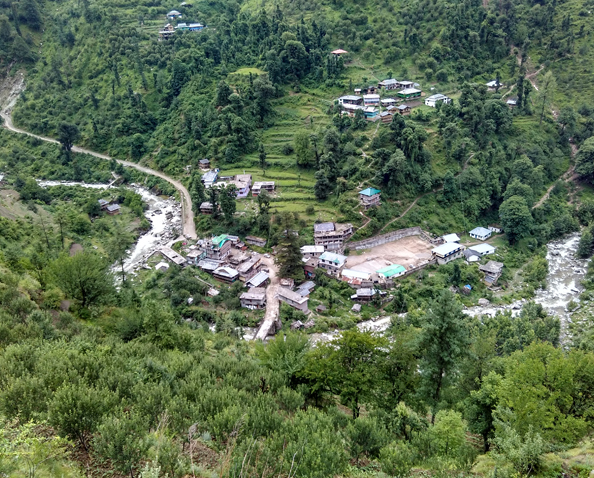 In addition to the large number of major National Highways that connect Himachal well to the rest of the countries, the state also has a extensive network of highways and also village roads. 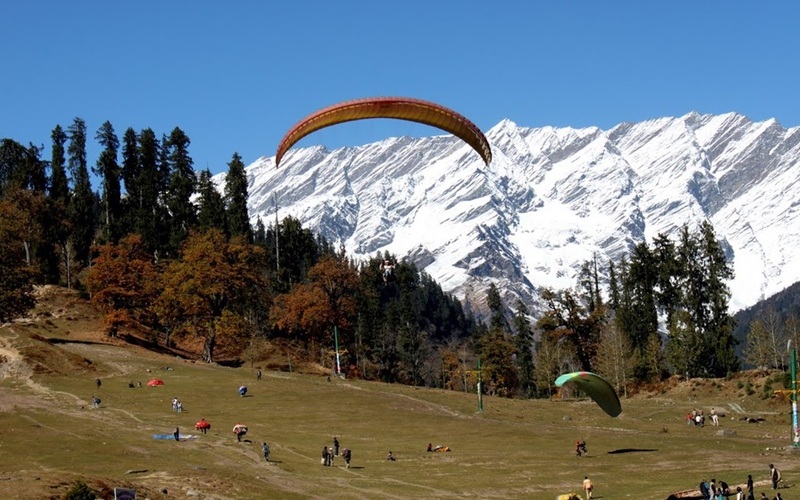 What are the popular activities in Himachal? Trekking – There are some very pretty and picturesque treks across lush green valleys, meadows and forests and over the hills, and ice and frozen glaciers such as across Dhauladhar and Pir Panjal ranges. Camping – Some of the popular and brilliant camping spots can be identified as Dalhousie in the Chamba district, Kullu-Manali in Kullu district, Solan, Chail and Dharamshala. 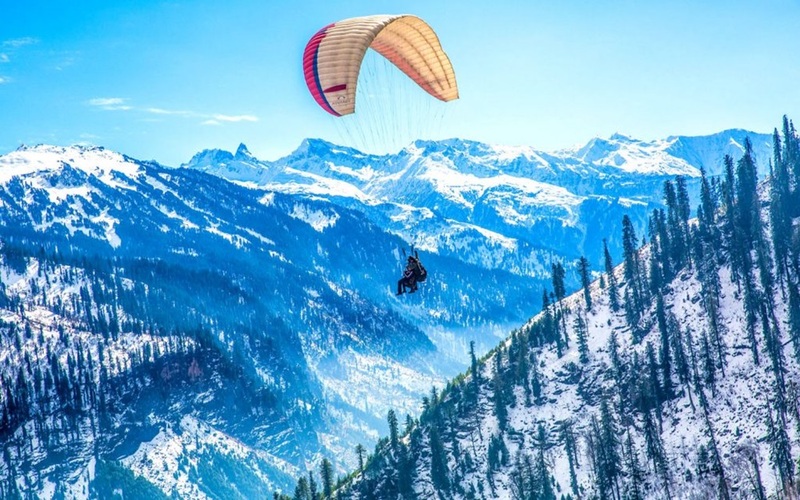 Paragliding – Some strategic locations that provide excellent paragliding opportunities under the expert aegis are at Bir-Billing in Kangra, Solang valley Near Manali. 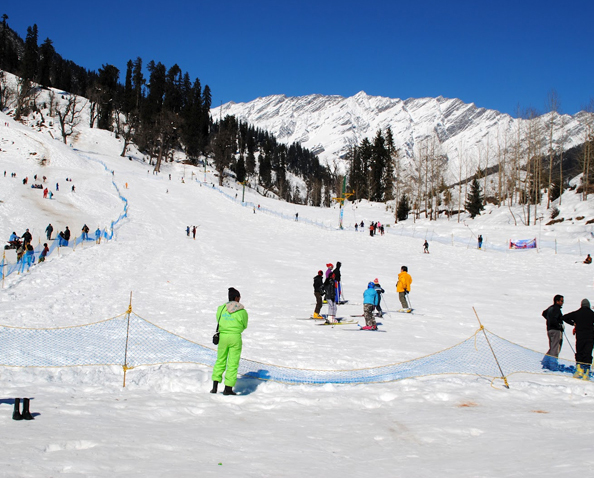 Skiing – In the winters, a lot of snowfall in the higher reaches of Himachal makes some very good skiing sites, such as Solang Valley, Kufri, etc. Mountain biking and motor biking – One can derive the pleasure and thrill of high altitude mountain biking and motor biking in Kangra, Una, etc. Ice skating – Ice skating is a favourite sport of people visiting Shimla and Auli. Angling – One can earn the satisfaction and pleasure of catching big games or angling in Tirthan Valley in the Great Himalayan National Park. River Rafting – The places that are popular with the tourists for exciting river rafting expedition are Bias River Manali, Spiti River in Spiti Valley, Sutlej near Shimla, Ravi near Chamba and Chandra in Lahaul. What can be expected from Himachal trip?